I’ve got some good quilt plans in the making for this year! A few very close friends having babies in 2016 so I’m really excited to make some new little quilts for them. I think I’ll be using made up patterns and also some from the book I mentioned late last year in this post. I am a huge sucker for constellations! 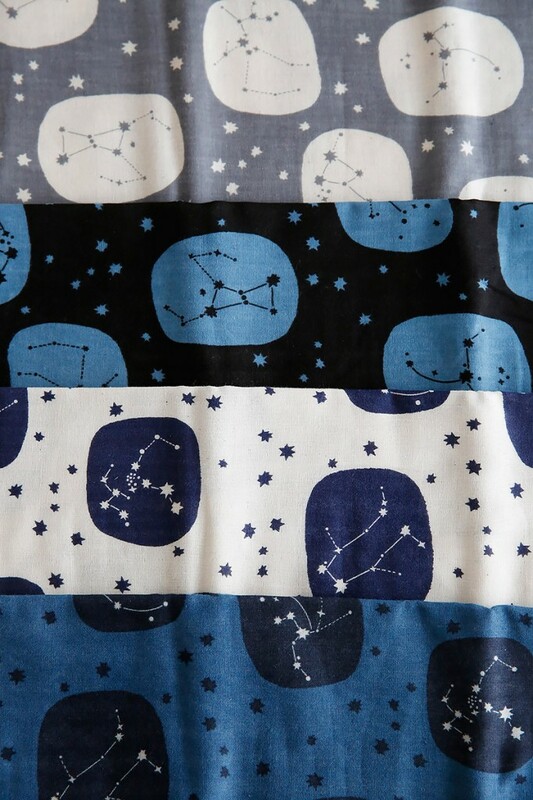 My favourite thing, I’ve got a pretty good cotton constellation collection now, but this fabric is a gorgeous double gauze – that’s best to wear!! I can’t see myself making clothes again, been there, tried that (disliked) but look at this little dress!! I want it. If only Japanese patterns weren’t so hard to follow. 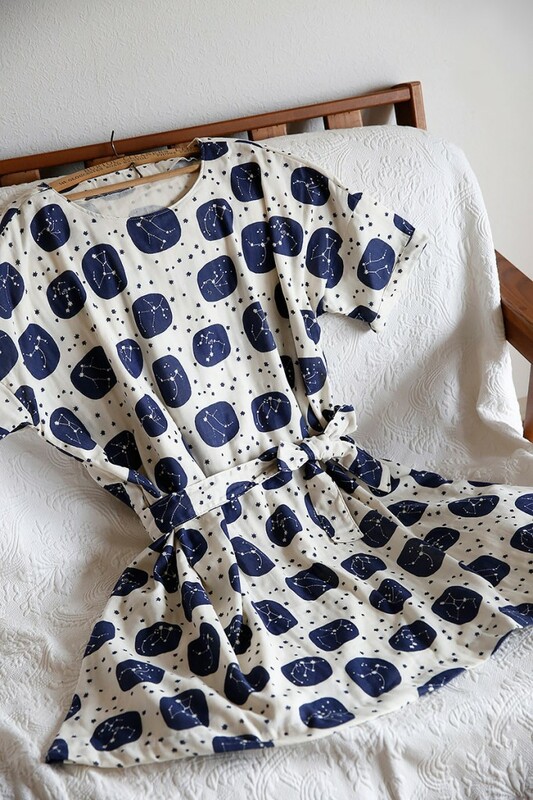 Plus this is a mystery pattern anyway, but my perfect dress style (those cuffs ♥). Maybe you have to be Japanese to wear something so cute successfully. Or at least someone who wears/owns dresses? I think I’ll work on that this year. Yeah dresses… I still have to make that little one for my niece, that’ll be good practice for my dreaded sewing in 3D!